Just look at this map: yesterday sunday 17 October, The Northern Passage was already in the Olso fjord. We are going to wait until the final arrival in the harbour of Oslo to tell more about the last days of this fantastic adventure. 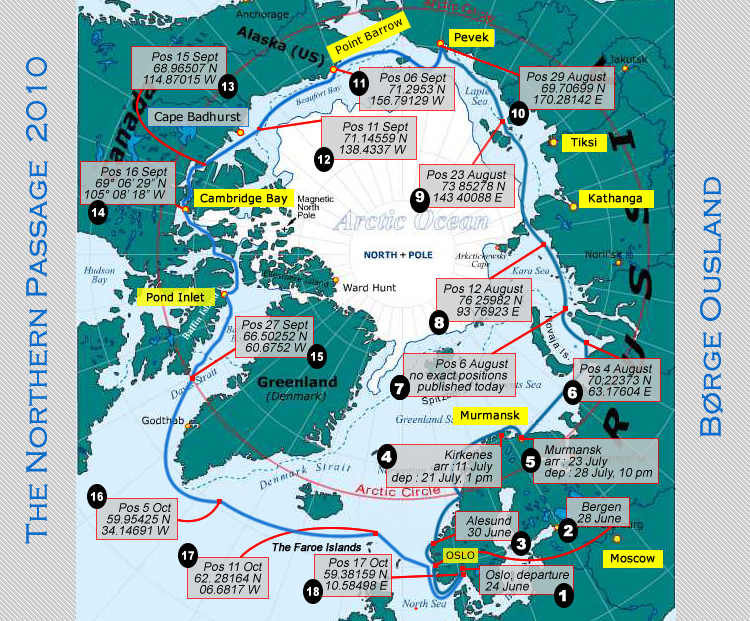 One think which is already obvious : this circumnavigation will enter in Arctic History.